I'm sure you've heard of the "revival" of ugly Christmas sweaters. A few years back some hipsters thought it would be hysterical to rummage through op shops and their parents' closets to find the ugliest holiday sweaters to wear - ironically, of course. 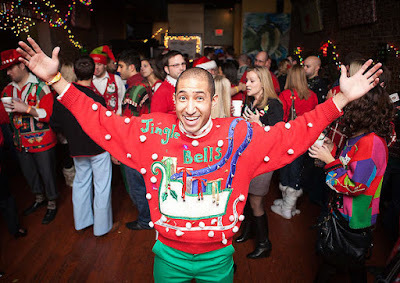 Then ugly Christmas sweater parties surfaced all over the place, including Sydney's sweltering silly season. 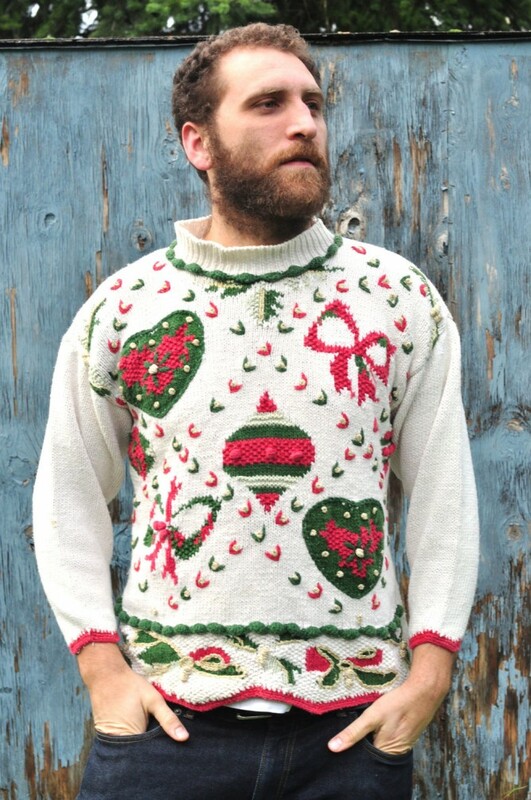 Now there is even an ugly Christmas sweater day in the US. 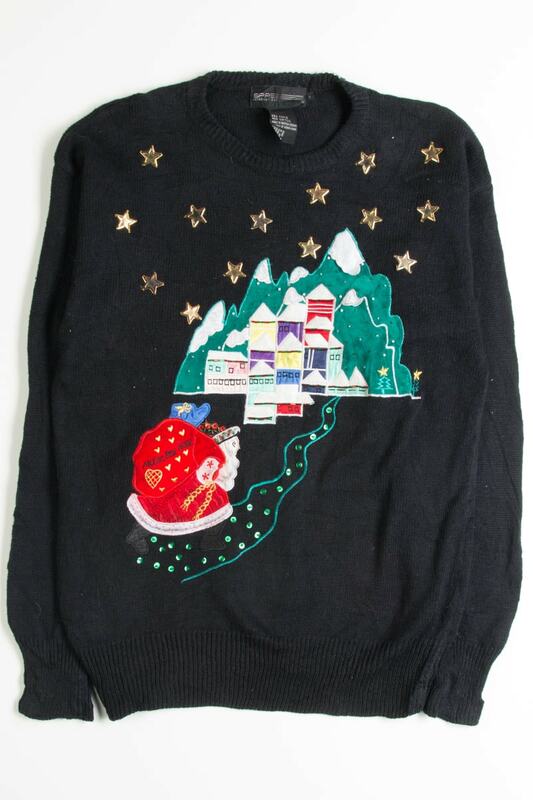 I'm not opposed to the idea of mocking the Christmas sweaters of yesteryear - there are some real doozies out there. 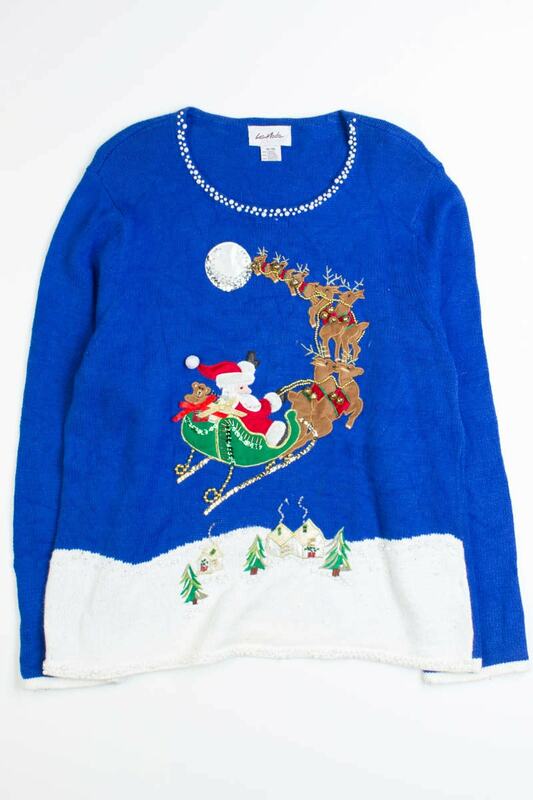 Growing up I vividly remember a sweatshirt with a puff paint Rudolph (remember puff paint?!) and another with a Christmas tree strung with tiny ornaments hanging off the front. I was definitely a child of the '80s. Honestly, I don't want to be the fun police. By all means, have a laugh at these sartorially questionable jumpers. 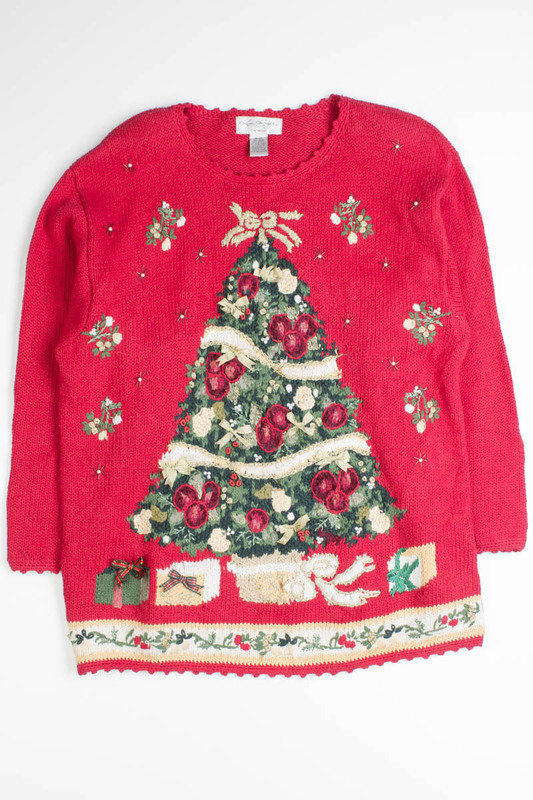 But can you do me (and the planet and garment workers a favour) and please not buy a new ugly Christmas sweater? beauty is available from Ragstock? 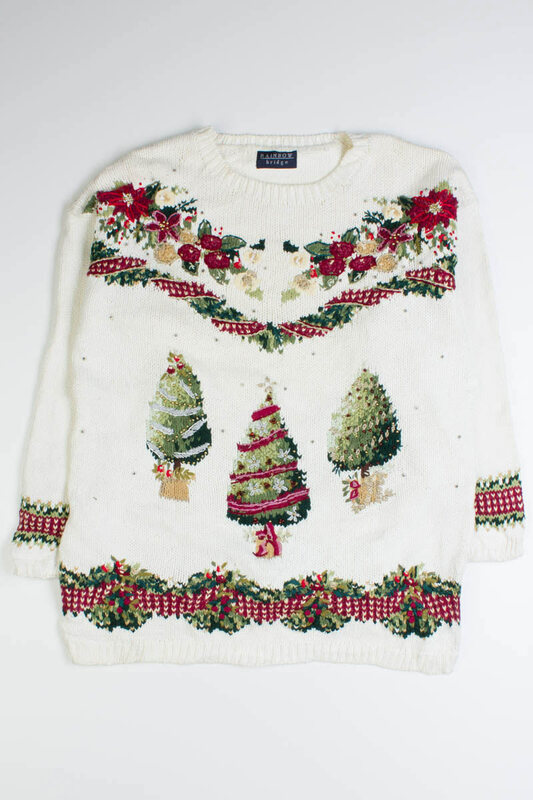 There are now companies that specialise in new ugly Christmas sweaters like Tipsy Elves and Ugly Christmas Sweater, capitalising on this bit of holiday fun. 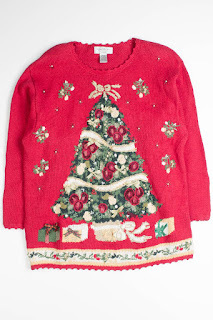 Plus the likes of ASOS and Target also have ranges of ugly Christmas sweaters. 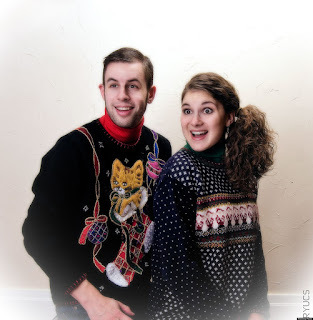 Many of these are more "funny" than "ugly", but the they are all taking advantage of this recent holiday trend. This is a completely unsustainable mode of fashion consumption. That's right, I used bold, that's how irritated I am at the concept of new ugly sweaters. First of all, the origin of the ugly Christmas sweater revival was to find a genuinely used, pre-worn sweater and laugh at the original wearer of it - "Can you believe my Dad actually wore this monstrosity?!" And if you were willing to wear it out and about in Fitzroy or Williamsburg you'd have the additional glow from the knowledge that you paid as little as possible and didn't contribute to corporate greed by buying secondhand. 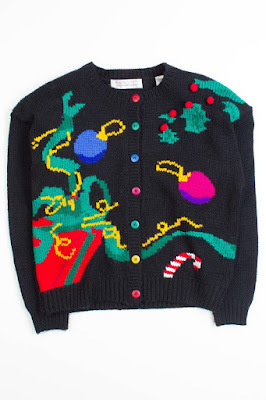 Buying a new ugly Christmas sweater is essentially the same as buying into the fast fashion mentality - "I'll buy this ugly sweater to wear ironically or to a fancy dress party and then get rid of it after one or two wears." And though the sweaters are not all cheap (retailing between US$30-$80), they are made of poor materials. Mostly made of acrylic, though sometimes with a little bit of cotton and/or polyester thrown in the mix. I've written before about the problems with microfibre pollution associated with acrylic and polyester fibres, and the amount of textile waste from consumers is staggering. These specialty brands do not rate anywhere on any of the garment labour standards schemes, and their supply chains are completely opaque, meaning the company either has no idea, or isn't sharing openly, who makes their (ugly) clothes. 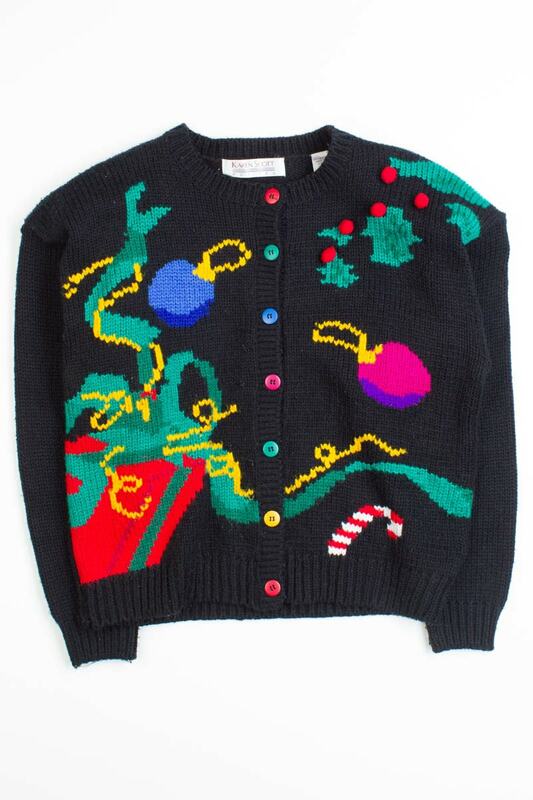 Those brands of new sweaters that partner with Ugly Christmas Sweater Day ask you to make a donation to a children's charity - fabulous idea! But no need to buy a new ugly sweater from these shady businesses. Be like the cool kids - find a vintage one in an op shop, eBay, Rusty Zipper or Ragstock (or your Mum's wardrobe!) then take the money you would have spent on a new ugly sweater and donate the full amount to charity. Then you'll definitely make Santa's "Nice" list. ragged or sent offshore if you are heading to an ugly Christmas sweater party. PS - shout out to my clever environmentalist hubby who first pointed out to me the new ugly Christmas sweater websites and suggested I write a blog post.